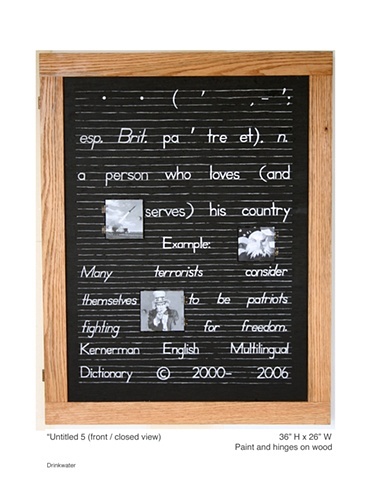 The defined term was found online from the Kernerman English Multilingual Dictionary. In contrast, the hidden images come from Google, which suggests how we both create and reproduce cultural meaning within the United States. Both the defined term and the hidden imagery seem to oppose one another. Meaning exists in the relationship between them.